This is to inform all candidates who applied for admission into Federal University Gusau (FUGUS), Zamfara State for the 2018/2019 Academic Session, that the University has fixed 15th and 16th August, 2018 as dates for the Post UTME and Direct Entry (DE) Aptitude Tests for the admission. Federal University Gusau Post UTME/DE Screening Eligibility. All candidates with JAMB Score of 160 and above and choose the University as first choice are eligible to attend the Aptitude Test. 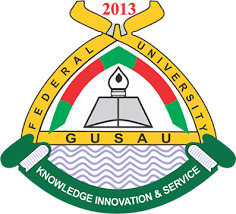 How to Apply for Federal University Gusau Post UTME/DE. For any assistance regarding the registration send SMS ONLY to the following numbers: 07082448816, 07031964384, 08028588741, 07017775343.